Many professional associations have found their membership growth stagnating when it comes to young professionals. The so-called “millennial” generation, who in 2017 are now roughly between ages 20-36*, may perceive membership-based organizations as “old school”, as well as being too expensive, having low value, and lacking in technology and curation. Some context that may explain their views on associations is that most millennials have had a rough start to their lives as adults. Many began their careers during the Great Recession, facing periods of unemployment or underemployment, low wages and wage stagnation. Add to that the unprecedented weight of student loan debt most young professionals are carrying, and it’s not hard to see why millennials are reluctant to spend money to join organizations if they don’t see an obvious return on investment. But millennial professionals are highly educated and accustomed to using digital technology, and while they earn less money than previous generations, they do want opportunities to network, to further develop their skills and training, and to discover new job opportunities. Due to the lack of economic stability during their adult lives thus far, most millennials can safely assume working in a great number of jobs over their lifetimes than did older generations. Put these facts together, and it seems millennials could really benefit from membership in professional associations – if you can convince them it’s worth their money. So how can associations connect with millennials and be perceived as having value? While millennials are sometimes portrayed as frivolous for spending money on Uber rides and the latest smartphones, their consumer and spending habits tend to be pretty directly tied to the usage or satisfaction they get in return for their dollars. They’ll use their smartphone for hours every day for several years, which for them tends to justify the expense. Associations must communicate what makes membership worth it for millennials in ways that speak directly to their investment in membership dues, such as breaking down the dollar value of savings, outlining the concrete ways they can develop their careers and add to their resumes, or by telling the stories of how their millennial peers have benefited from their membership. The convenience of ordering and scheduling a taxi ride by your phone is a big part of what initially made Uber so popular among younger generations. It’s that same appeal of convenience that has helped drive the popularity of job search on mobile devices. Providers of online and distance education, especially when it comes to part-time programs that cater to those already in the workforce, are also finding value in being accessible to students via their phones. It’s not that millennials don’t ever use laptops or desktops, but that they are accustomed to accessing tools and resources through their phones and are more likely to be frustrated or not use those resources at all when they’re not mobile-friendly. Which is not to say every association needs to go out and create a custom app for their organization. It’s often more convenient for both members and the organization to integrate with existing popular apps and use mobile-responsive web design so members can access association resources without any extra hassle. Delivering and accessing your content and services should be made easier by new technology, to the benefit of you and all your members. One key challenge for communicating and demonstrating value for millennial professionals is finding the balance between content that is exclusively available to members and giving it enough visibility to prove its worth. 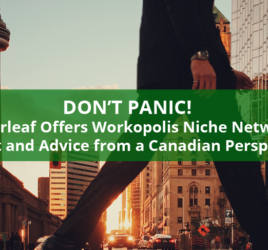 Most successful niche job boards promote jobs posted to their boards as much as possible – through social media, emails, paying for ads, and distributing jobs to other boards and aggregators. But what happens when your job content is available to members only? 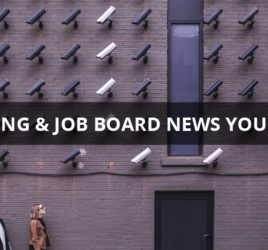 If you view access to your association job board as part of the benefits of joining, prospective members may be more convinced by your offer if they can see or preview its job content. Similar to membership organizations that provide professional development courses but still make course catalogues and schedules publicly accessible to non-members, associations can benefit from making their career portals’ jobs public. The same way only members can register for the course, the ability to apply for jobs, to upload their resume and create a profile which employers can find, can remain exclusive to registered members. By being able to show off an active and thriving job board, your association can take advantage of its job content as a tool for marketing and SEO, while creating more visible incentives for new membership sign-ups. Alternatively, an association job board whose jobs are strictly behind closed doors can compensate by finding other ways to share and promote jobs outside the restricted area. One tactic I’ve seen niche and regional job boards use to promote their job content is regularly highlighting new jobs and featured employers on blog posts. Once a week or once a month, they’ll compile a list of links to opportunities with job titles and sometimes short descriptions. It’s a small, routine task that can generate visibility for those jobs and drive members and nonmembers to your career portal. The much-maligned millennial generation (of which this humble blogger claims membership) has a lot to gain from joining professional associations, and associations can use tools like job boards to recruit them and add value for their members, whatever their age. Get New Posts Delivered to Your Inbox Weekly! See for yourself what all the buzz is about! Careerleaf powers leading job boards and recruiting platforms with Software-as-a-Service solutions. Our software lets job board owners deliver tools and features for job seekers, employers and recruiters, and managing their job board website as a business. Read more.